A Ruthless Scandal: No More Lies has a Kickstarter page. The family of N.W.A. 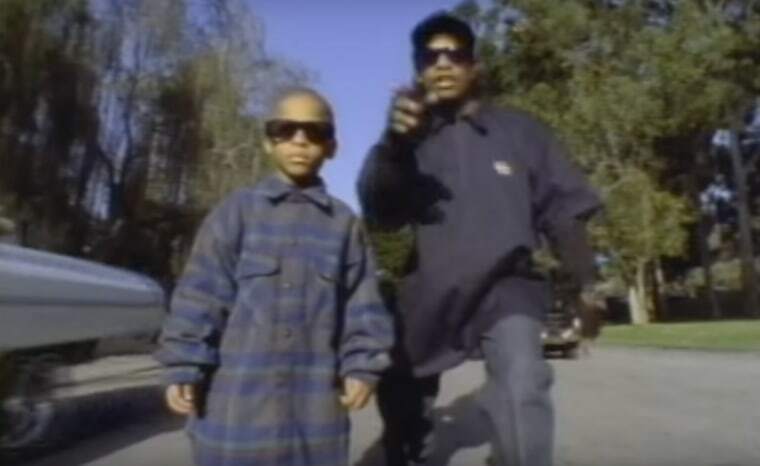 member Eazy-E is attempting to raise $250,000 on Kickstarter for a documentary that promises to reveal "shocking facts" about the circumstances surrounding the rapper's death, Rolling Stone reports. Eazy died of complications from AIDS in 1995. Ebie Wright, Eazy-E's daughter, has been producing the film for ten years along with her mother, Tracy Jernagin, and half-sister Erica. "The stories that we're telling are mainly about the scandal surrounding my father's death," Wright told Rolling Stone. "But we also wanted to show his accomplishments, his personal life and, really, the aftermath of his demise and what happened to us. We never felt the story that was told to the public was the truth. It's just something that has always pained us." Jernagin called the film "an investigative documentary" with no agenda. "We're not accusing anyone, but maybe they want to tell their side. This is going to be very objective. We're not going to point fingers. We just want to present the facts and let people make their own evaluation of it." There are a number of rewards available for supporting the film. A $10,000 donation gets you a Ruthless Mafia jacket that belonged to Eazy-E, while $5,000 gets a day with Ebie and "one of Eazy's OG rapper friends (Bone Thugs? DJ Quik and AMG? Warren G? Too Short? Endless possibilities)." Visit the Kickstarter page here.